More than 5,000 cyclists have taken part in a rally aimed at persuading London's mayoral candidates to ensure roads are safer for those on bicycles. The four-mile Big Ride, through central London, was organised by the London Cycling Campaign (LCC). 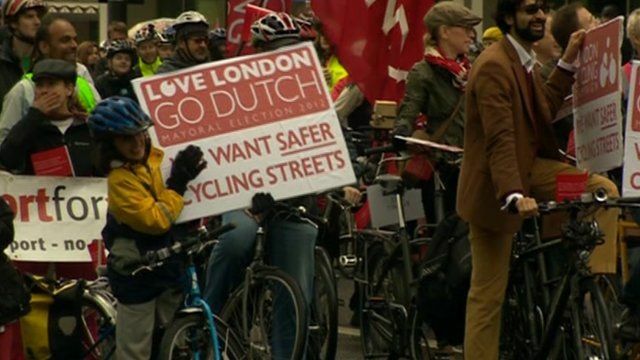 It wants the mayoral candidates to sign up to the "Love London, Go Dutch" idea, which hopes to make the capital as safe for cycling as it is in Holland.